The Spires of Morning is a temple to Lathander in the Castle Ward of Waterdeep. It was destroyed by fire in 1345 DR during the Night of Temple Fires, but was rebuilt within a year. The earliest construction on this site was a temple and monastery, also to Lathander, constructed in 998 DR, originally outside the city. In 1101 DR it became a part of the city when the walls were expanded to contain it and provide more room for the growing population. The heroes approached the entrance to the temple and one of the priests moved quickly to get the doors for them. “Welcome friends! Rejoice in the rebirth and find salvation within!” After entering the main temple Queless once again saw the elaborate interior with solid dark wood pews and plants which led up to the altar where a mass of priests now worshiped. Thousands of candles burned against a massive wall decorated with all manner of golden and yellow stones. The light from the candles was reflected a thousand times and shone with a great brilliance as the symbol of Lathander Morninglord. Queless entered the temple with high spirits running his hand against the grain of the pews. “I wonder if Lathander works as hard as Moradin. His priests seem easy allies. Welcome news, let us see how our new allies fare when the going gets difficult.” Queless said to himself. “The job is not impossible my friend. Keep positive thoughts in your mind and do not allow the darkness to overcome your spirits. Come, pray to Lathander with us and he will grant us wisdom in this matter.” Misha led the way to the altar. Queless stayed to pray for those who lost their lives in the fire. He said a silent prayer for Flen as well. Misha then led Morin and Queless to a small private room where they could rest and pray. He gave them a key and told them to meet him on the floor above in one hour. Queless requested some paper and ink to write some of his former Waterdeep adventuring companions a letter. He wished to reconnect with them in hopes that they would join the Fellowship and assist them in the days to come. Misha returned and gave Queless everything he would need and also offered to help locate his former friends using Lathander’s informants throughout the city. Queless thanked him graciously and was then left with his thoughts as Morin prayed to Moradin Soulforger. Queless wrote rough letters to each of his former adventuring companions before Morin put his hand on his shoulder. “Queless, it’s time.” Queless nodded and folded the letters, placing them neatly in a stack on the small desk in the cramped room. The two exited the room and Morin locked it behind them. “This maybe a temple, but I don’t trust anyone these days… except you Queless. You’re the only one I know will always have my back. Trust in me that I will always have yours my friend.” Queless smiled and nodded, happy to have such a true friend. The door swung open on a room enveloped in darkness. Misha motioned for the two heroes to enter and then he followed them within. The door slammed shut behind them and all was dark and silent for a moment. Just when both Queless’s and Morin’s infravision started to adjust two candles suddenly came to light on two side tables. Each table sat beside matching plush antique armchairs. Upon one table was a picture frame made of platinum with ornate designs. In the picture frame was the black and white drawing of a smiling halfling sitting on a branch smoking a long pipe. Given the morbid tone hanging over the picture one could almost feel that the halfling in the picture had passed away some time ago. Sitting in the first armchair was a Moon Elf woman, presumed to be Corinna Lathankin. “Misha, the Morninglord’s light eminates from your inner being. Please bring your new friends in and let us introduce ourselves.” She had a beautiful, waif-like figure and soft face that belied her intense energy and loud, commanding voice. “Of course m’lady.” Misha said as he led the two heroes into the room. “I am Corinna Lathankin, Order of Aster and former leader of the Foes of the Fang, slayers of Vampires.” Corinna outstretched her arm to clasp each of the men standing before her. “So, we hear you have quite the story for us.” Corinna said while motioning for them to be seated. Misha brought chairs from a back room and set them in a circle with the plush armchairs. Tea was poured and passed about. Words began to flow slowly at first and then began to gush with the intensity of a river spilling over it’s banks. “That is our area of expertise, please elaborate.” Jandar said expectantly. “Very intriguing.” Corinna said softly. “The attacks are getting more brazen. We have dealt with this problem twice today alone. Early this morning we dispatched a giant skeletal king, upon his crown was this gem.” Queless oulled a tightly wrapped small package from his pouch. He was very wary and suspicious of this item and kept it wrapped at all times and always handled it carefully. He showed the group the black gem he obtained from the king’s crown. “It is cold to the touch. I believe this to be an important item for when the crown was removed the vile creature did shutter and fade from existence.” Morin pulled the skeleton king’s crown from his pack and also added that to the pile. “There’s that too…” he said in a hushed tone. Corinna sat forward in her chair and listened intently to the descriptions and then took a device and gem in hand and inspected them carefully. She then took the crown and touched the gem. “This is foul magic.” Corinna said. “Ancient necromantic magick. These items hail from Netheriel times. I believe this crown was the crown of a king who died over 400 years ago up north in Icewind Dale. I will have to visit the Waterdeep Library to obtain his name and history and confirm my suspicions. This is bad news indeed and leaves me to believe that we’re dealing with a vampire who could possibly be hundreds of years old. If he hails from Netheriel times the City of Waterdeep is in grave danger and I am frankly surprised you two are still alive. May I hold onto all these artifacts and research them further? I will lend you a few very powerful magical items to show my good will to return them when I am through studying them.” Corinna sat back and continued listening to Queless the Drow spill out their personal accounts of their recent encounters. “That would be most welcome Miss Corinna. What else should we do to protect ourselves from the vampire’s power?” Queless said. “I’m hoping tis does not come to it, but shall we encounter said creature of night. How shalt we dispatch of him?” Queless inquired. Corinna provided a detailed description to the group. 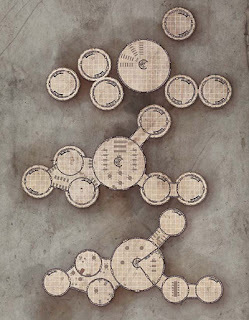 With that the group exited the magical room on the third floor of the second tower of the Spires of the Morning and returned to their quiet room to contemplate their future and the future of the citizens of Waterdeep. The Order of the Aster is a militaristic organization that serves Lathander. Multiclass as cleric, divine champion, divine disciple, hierophant, or Purple Dragon knight. Paladins of the Morninglord are among the best-loved heroes of Faerûn. They are loosely organized (along with other fighters devoted to the god) into a holy order called the Order of the Aster. Within their own church, the paladins are frequently more conservative and concerned with the way things should be done than the clerics, who are often neutral rather than lawful. Members of this order protect temples and shrines, serve to lead large military groups, levied as needed to serve the church, and roam the land seeking to do good in their gods name, promoting his worship. Individual temples and shrines of Lathander do not usually maintain standing military forces of any substantial size due to their cost and upkeep, although they often retain warriors and members of the Order to guard their establishments in numbers that each temple decides is appropriate.